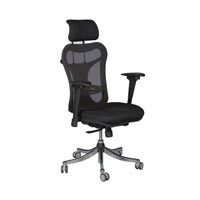 Office Chairs need to be comfortable and convenient to work long hours in. 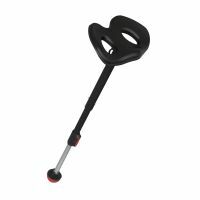 Teacher Desks and Office Desks are about to get a lot more comfortable to be sitting behind when you invest in an Ergonomic Office Chair. Make long conferences, meetings and training at Office Tables more comfortable by seating everyone on Executive Office Chairs in Box Arm Chair styles or Leather Office Chair styles. Managerial Chairs and Task Computer Chairs are great alternatives for sitting at Computer Workstations in schools and busy call centers. Ergonomic Kneeling Stools for Desks are an innovative office seating idea. Align your spine and get healthy while working hard. Group Seating and Lounge Seating will look grand in any hotel or business waiting room. Make sure guests and clients feel at home and comfortable throughout their whole experience with your business to keep them coming back! 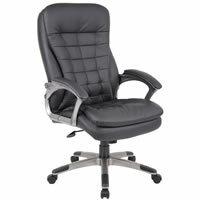 Make the 8:30-5 work days a little easier when you sit in an Office Chair that makes you feel like you�re on Cloud 9!